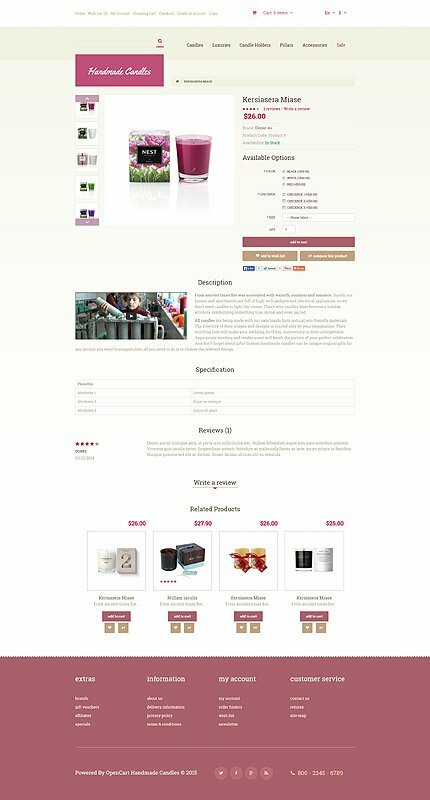 This handmade OpenCart template provides a pleasant visual experience thanks to its warm, tender palette and clutter-free layout. The latter is largely provided by means of dropdowns such as cart, menu, currency and language switchers. If you are aimed at social media users, this template is an apt option for your site. Its front page accommodates social icons and widgets, namely Facebook Like Box, Pinterest Board and Instagram Widget. At the very bottom of the page, there is a Google map whose zooming effect allows visitors to focus on a relevant point of interest from a closer perspective. The template is also packed with a wide range of modules for different things, namely banners, camera slideshow, Google talk and more. 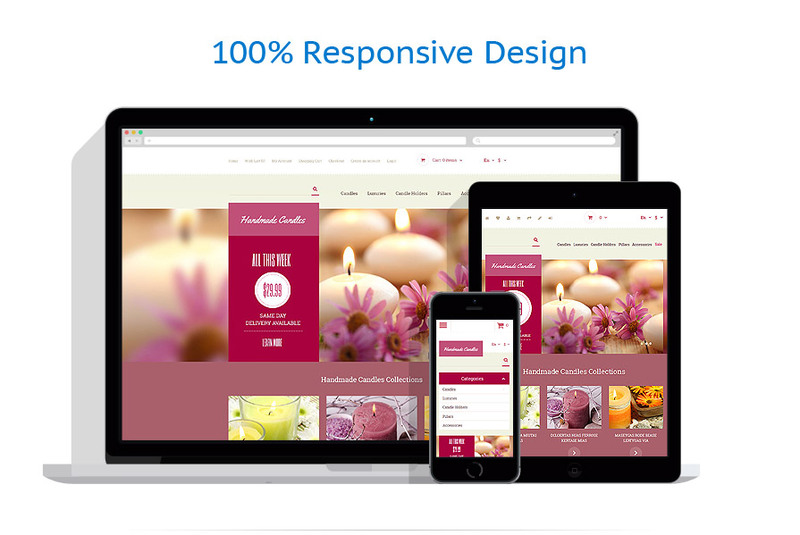 This template is offered for gifts, crafts, art, antique, jewelry, and beauty websites.